A dream jarred me out of sleep early Sunday morning on Feb. 7, 2010. As I came to, the dream quickly faded save for one final thought: it was after 4 a.m. I’d set my alarm to 4:53 a.m. so I was relieved that it was almost time to get up. Except the actual time was 2:58 a.m. And I was wide awake. An hour-plus later, I decided sleep was not returning and got out of bed. About 30 minutes later, I was around a lot of my Loper friends, taking pictures, having “I can’t believe we’re actually doing this” exchanges and eventually we made our way to the start line. It was about 6:27 and we were several minutes away from starting, and I could not believe it. 26.2 miles then did not seem like a long run, merely a training run in a new setting. The gun went off and by the time our wave was finally out and about, I felt a surge of emotion. I was doing it. I was running a marathon. The rain had pelted Huntington Beach all day on Saturday but we lucked out. While the sun was not quite out yet at the start, it was starting to peek through and by the time we were a little past Mile 2, the sun was out and shining. Still a bit chilly, I felt great in my gloves and long sleeve shirt. We’d started up along Pacific Coast Highway but at about the Mile 3 marker, we hung a right and went a bit inland. That’s when I suffered my first setback. I’d safety-pinned some GU packets to my fuel belt, but one didn’t make it. I glanced down at it around Mile 3 and it was there but when I went to GU up, it was gone. I skipped it then, and figured it would be best to take the remaining ones at Miles 8, 12, 16 and 20, instead of finishing them by Mile 16, and hoped that wouldn’t come back to haunt me. We ran down a few different streets and came out into a park and eventually back out on a street that would eventually wind us back the way we came, towards PCH. 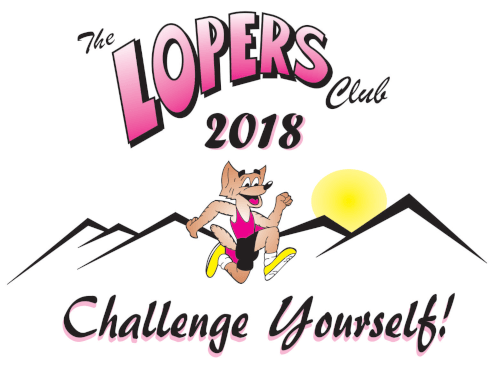 I felt great, as our Loper group was chatty, encouraging and strong. At about Mile 14, another Loper and I got a little bit ahead of our group and eventually the others fell behind. At precisely 14.5, I was hit with a splendid scent. That unmistakable briny, salty ocean smell filled my senses, and since I’d been congestion all week, it was a welcomed scent. It came and went as my nose did not fully cooperate but when I was able to smell it, it was wonderful. A little after Mile 16, we deviated away from the mile marker and went onto a running path along the beach. We were going to run nearly all of the remaining race on this path. We passed the turnaround point, around the 20-mile mark, and I was excited to be heading back towards the final push. I passed the Mile 22 marker and was excited since this was now officially my longest run ever, and every step added to that. But that quickly faded. Maybe I wasn’t in excruciating pain but Surf City was taking a toll on me. An hour later I passed Mile 23, and Mile 26 seemed so long away. I hit the dreaded wall. “Hey, how are you doing?” Mrs. LB asked. It took me a moment to compose myself. I had to hold back tears but she could hear it in my voice. “You only have three miles left. You are doing so good. You’ve trained well and you can get through these last miles,” she responded. I didn’t believe her. Not at that moment, but I told her thanks. She gave me her approximate location and I trudged forward. For about 10 minutes, I cursed myself. I questioned my decision to run a marathon, told myself that I didn’t want to run another one, that I just wanted to get this done and over with. A little after Mile 24, I’d pushed those negative thoughts out from my mind. I felt a little closer and I knew I had enough for two more miles. I didn’t feel like I was running much faster than before, but I was passing up slower marathoners. A short while later, I saw my cheering section. Mrs. LB and the girls had made signs supporting me, and the girls were jumping up and down. I tried to hold it together. Trying, but not staying composed. I tried to keep my emotions in check but it was tough. I also tried to stay around the same speed (slow) and that wasn’t so tough. I didn’t want to crash and burn this late in the race. Once I passed up my cheering section, I looked behind and saw the girls running after me. I’m not sure how long they ran but I’d gotten back out to PCH soon after passing them. Far off in the distance, I saw the Mile 26 marker. I couldn’t believe it. I’d trained for so long, thought about this race for so long and now it was before me. The finish line was close. I passed the sign, crossed the last intersection I needed to, and closed in on the end. Part of me wanted to run faster but I was afraid that I would pay for it later. So I just cruised into the final. The clock said roughly 4:45, The Garmin said about a minute slower buy my official time was 4:42:26. I raised my arms high above my head and tried to smile. I wasn’t sure if that would make for a good picture, nor when exactly the camera would take the shot, so I held my pose for several seconds. After my legs slowed down to a walk, it struck me. I was walking around in a haze. My legs were suddenly screaming and I knew I had to start getting some fluids and food inside of me. I grabbed a banana and inhaled it, then got a bag of assorted goodies – an apple, bars, fig newton, water – and started to chow down. I had no phone signal for some reason so I couldn’t call Mrs. LB to see where she and the girls were. It was quite a long walk until I was out from the finishing area, and two thoughts raced through my mind. I ran a marathon, and I can’t believe it. This is something that nobody can ever take away from me. My feet were throbbing and I could barely walk around after the race. In the few hours after the race, I hadn’t fully recovered quite yet. The strange blood that accumulated on my back stopped but the throbbing continued until well after. But it was all worth it. Every last drop of sweat, of blood, of tears. Because now, I am a marathoner. And that’s the price of admission.